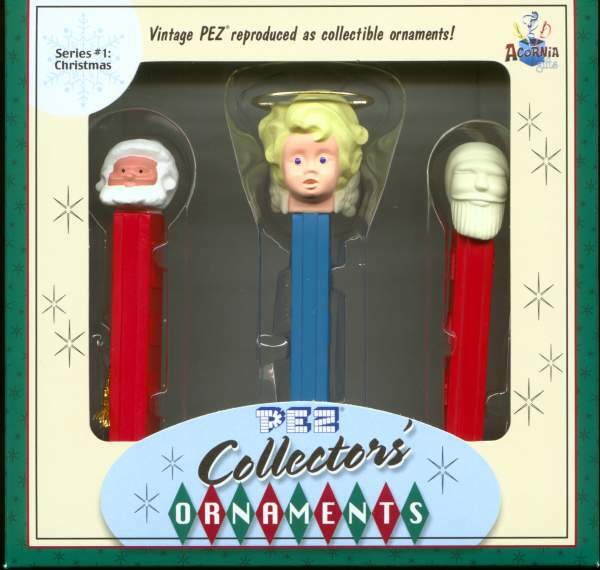 Here are the Pez Christmas ornaments. Pretty nice, huh? They are just a little smaller than the the originals. The first picture is "in box". The next picture is out of box with a real gap-necking angel on the right. I have a few sets for sale in my shop.